CAAMP – that awkward acronym that we all secretly loved to hate – is officially no more. As of today, the Canadian Association of Accredited Mortgage Professionals will be known as Mortgage Professionals Canada. The rebranding of Canada’s largest mortgage association is the result of months of work and consultation with key stakeholders, including members, board members, staff and government. The rebranding initiative was led by Cindy Freiman, Director, Marketing and Communications, who acknowledged that one of the longstanding issues with CAAMP’s name was that it didn’t properly reflect the makeup of its members. When the AMP was created in 2004 it was thought all members would attain this professional mortgage accreditation, she said. As it turned out, because it is a voluntary designation, only about 20% of members are AMPs. That makes the name CAAMP non-representative of its membership. Despite any positives of this move, critics will point to the significant past investment the association made to brand “CAAMP.” Some will question if that time and money was wasted as this marks the second name change in a decade for the organization. But the association feels it finally has it right this time, with a name that’s far more meaningful to consumers, who often struggled to understand the CAAMP acronym. CAAMP’s rebranding was officially unveiled at the opening ceremonies of Mortgage Forum 2015. In case you missed it, that ceremony can be viewed here. Excellent to hear. have been trying to figure out how to share video to contacts? Big improvement with the branding, however it still doesn’t address some major issues. #1. It’s still totally separate from provincial associations. The new Mortgage Broker branding put out in BC and other provinces is better and more localized, at least in my opinion. I will only support my provincial association until these guys agree to start playing together. #2. The public calls mortgage brokers- brokers not professionals. It’s still going to confuse the average Canadian and there is almost no advertising fund among brokers to promote any designation. Brokers need one voice, association, name/logo, ad fund to really promote awareness, much like what realtors have. DLC etc should approach other networks/lenders and all agree on a new campaign – 1% of revenue or $100/month per broker would work well. In order to get any value from this new brand more changes need to be made. Michael please humour us by explaining how MBABC, which lost $18,000 last year, has the resources to properly promote mortgage brokers? I would love to see your calculus on this. Your preference for the “MB” branding is just that, your preference. 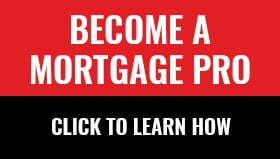 I would rather be called a mortgage professional than a mortgage broker. The latter has negative connotations for many consumers who equate us with lenders of last resort. As for brokerage houses getting their members to contribute $100 a month to an industry-wide ad fund, good luck with that. You have a better chance of spotting Elvis at Tim Hortons. No need to humour anyone Michael, Paul’s doing a good job all by himself. Nothing like pulling figures out of the air. Paul doesn’t sound like anyone who knows about the workings or budgets of MBABC, CMBA, CAAMP, advertising, or business. His written fiction is just that, fiction. (I do agree with his comment that no one is going to contribute $100 a month to an ad fund). Paul, if you want to be called a professional you’ll need to go back to school for a whole lot longer and qualify in one of the professions. Being a mortgage broker does not make anyone a mortgage professional, it makes them a mortgage broker. If you are at all confused, talk to one of the regulators and they will straighten you out as to your qualifications and title. This will be the third name I have experienced with this organization, they said exactly the same thing when they changed from CIMBL to CAAMP, members wanted it, Board has a solid vision of the future, blah, blah, blah. seven or eight years from now that future Board will say they need to re-name it to CRAMP or something like that, they will say the members want a change, brilliant vision of the future, yada, yada. My main concern is living long enough to see it but it is inevitable. If you paint stripes on a leopard, does that make it a zebra? Perhaps we relieve the board of its duties and get some new blood with a vision. No more politicians! Ron, I agree with your comment. CMUBL/CAAMP/MPC…..ZZzzzzzz. The accreditation never helped my business, but I would love to some feedback from members who feel it does. What’s disappointing is the missed potential of the organization. I don’t believe in complaining without bringing solutions to the table, so what exactly could our newly-termed MPC do differently to bring some real value to members? The educational offerings could be brought up to date to deal with the rapidly changing marketplace. The org could work with regulator and take on components of self-regulation and licensing. Meaningful consumer education. Real promotional efforts. Tiered membership status for access to resources. Be the leader and hub of invention. Advocate. Etc. First off, did they really pay about $100,000 of membership funds to someone to come up with a logo that looks like a red marijuana plant and the acronym MPC, coincidentally the same acronym as the Marijuana Party of Canada? Some of us view the possible confusion with the Marijuana Party of Canada as a real positive.